We have received approval for construction of the Inner Harbor Water Taxi Terminal from the US DOT Federal Highway Administration! 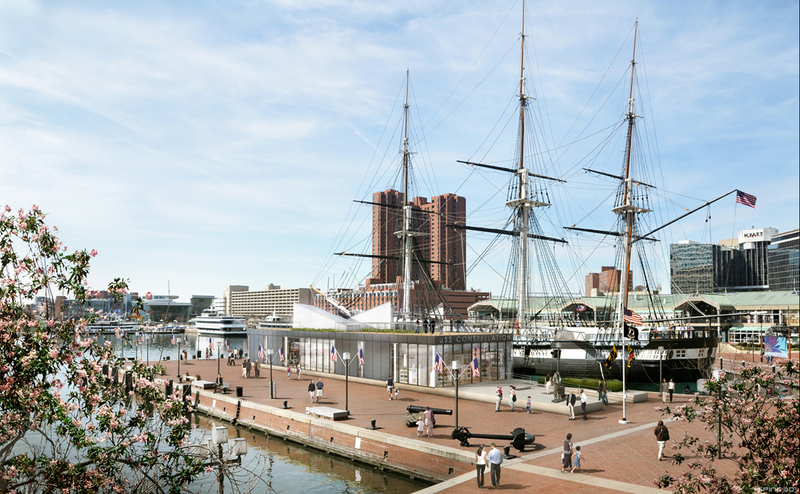 This building will sit on Pier 1 in the Baltimore Inner Harbor, next to the USS Constellation. This project strengthens the City of Baltimore’s growing reputation as a true heritage tourism destination and gateway to this National Historic Seaport and includes a master plan for the pier, removal of existing building, and design of a new ADA and FEMA compliant 4500 sf water taxi terminal and interpretive heritage museum. The project incorporates a habitable roof space allowing access to the ship and serves as function space with views of the harbor.